As the year turns to new, many are busy making resolutions or thinking their theme for the new year, or even defining the “word of the year” or “three words for the year”. You might be writing your bucket list wishes for 2014, or making plans what you want to accomplish in 2014. Fashionistas are already thinking how to incorporate the Pantone color of the year, radiant orchid, into their wardrobes and everyday style. It’s time to reflect and refresh. 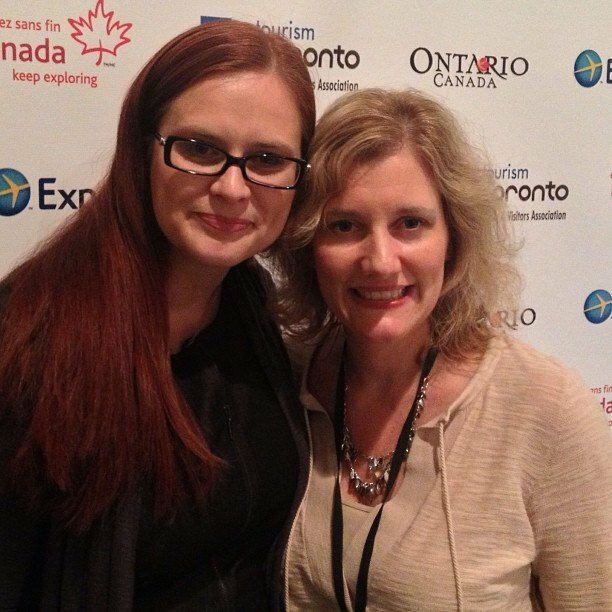 I would like to invite you to read some of my personal top moments of 2013, and also the top Skimbaco moments of Adrienne, and then reflect on your own top Skimbaco moments the past year. Every Skimbaco Moment is different and the entire essence of living life to the fullest is to experience the entire colorful scale of moments that make you feel fully alive and happy. What are your small and big Skimbaco moments of 2013? I thought this task was going to be easy to list the top 10, but as I am finishing this post I realize it took me hours to write it. It is impossible to sum up a year for top ten moments. Especially my 2013. I was at least on 18 airports and in 15 countries. I saw Vatican and the Sistine Chapel, I saw the new World Trade Center building built on Ground Zero, I danced Irish dances in Ireland (and drank some Jameson too), learned to make ravioli in Italy, and drove the night train in Canada. I saw the Mona Lisa, climbed the Blarney Castle, ate mustard in Dijon and bratwurst in Munich. And much more. Read some of my top moments below, because it will take me the next year to tell all of my stories from 2013. 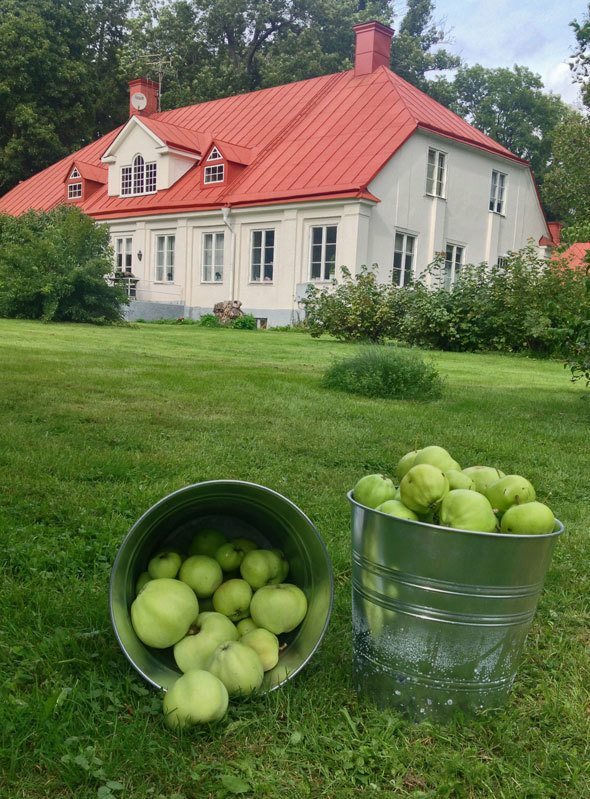 We had an incredible once-in-a-lifetime opportunity to move in to a mansion in Swedish countryside. I love the 400-year-old and over-5000-sqft house, and am thankful for every day we get to spend here. The end is looming sometime during 2014 as my husband’s contract in Sweden ends. While the house is amazing, more importantly this house has taught us many important lessons the past six months. We feared the worst when our lease was terminated in the house we lived before, and were sad to leave the beautiful river view. It was a great lesson not to be afraid of the change and you never know what happens next, even when life gives you unexpected inconveniences. Our poorly-renovated 50’s modern rental house in the suburbs turned into a mansion in a countryside. Being kicked out of our rental house ended up being the best thing that happened in 2013. Our memories of picking apples from our yard and making apple cake from the apples from the garden will last with us forever. The year 2013 started with a trip to Paris with my daughter and mother-in-law. Truthfully, the trip didn’t go as planned at all. I wanted to take my teenager daughter for Paris Fashion Week, but we ended up spending the only day we had planned on going to Fashion Week at Louvre. Not to mention the weather was quite gloomy and snowy, and I got sick and had to be rushed to ER when we got back home. Overall, it was not the Paris-trip we had envisioned, and yet it meant so much to me. We learned many life lessons together with my daughter, and the bond between us just got stronger. 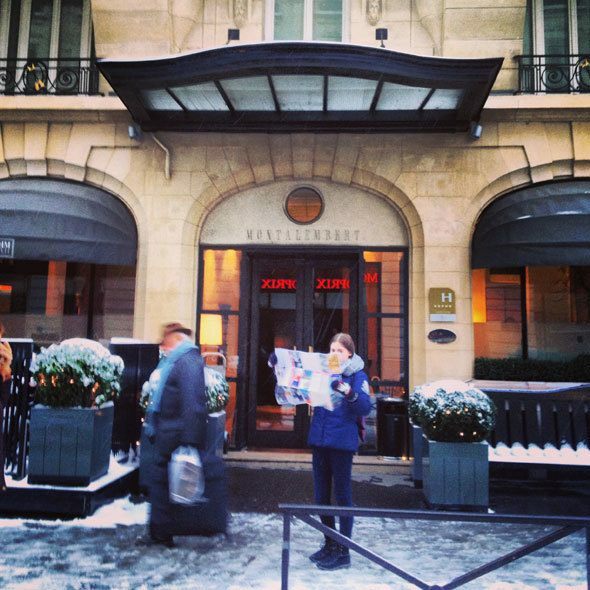 Picture taken in the front of the Hotel Montalembert where we stayed. 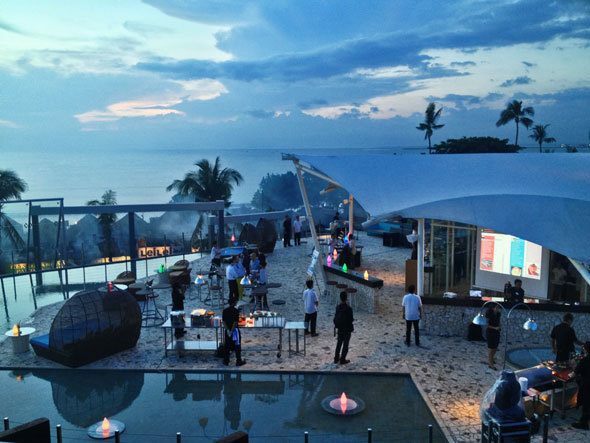 My favorite trip in 2013 was the trip to Bali to the grand opening of the Le Méridien Bali Jimbaran hotel. I loved pretty much everything about this short trip to Bali, and long to return to Bali sometime soon. One of the best parts of this trip was meeting amazing people from around the world, and ending the trip with a champagne party in my hotel room with my new friends. This is one of those trips I will never forget. I overall feel that the year 2013 was so important for bonding with all of our children. I traveled a lot, but the rest of the time I spent home with my family. We cook big family dinners every night, and do ‘food adventures’ and prepare dishes from different cultures. This year my children learned to cook more than ever before, and they also started sharing another passion of mine: iPhone photography and photo editing as they got their first iPhones. 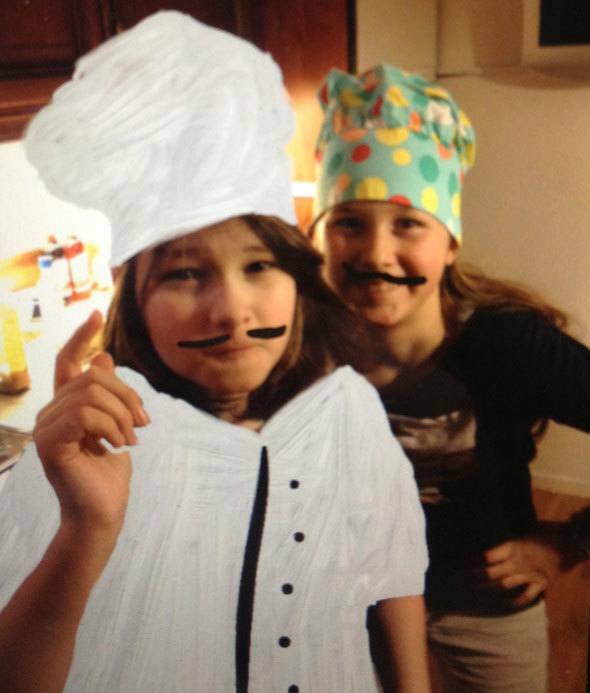 The picture above is stolen from my daughter’s iPhone – it’s the brother and sister as pizza chefs in our kitchen – with minor edits as you can see. I’ve always wanted to write a book, but my first book was not the book I wanted to write. 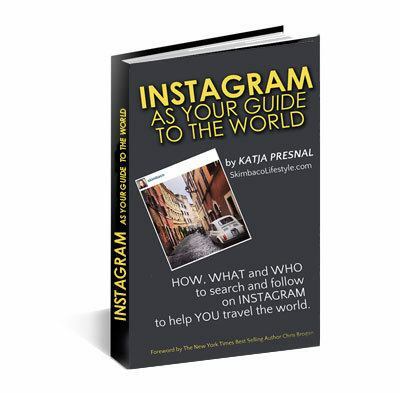 In fact my book Instagram as your Guide to the World – How, What and Who to Search and Follow on Instagram to Help You Travel the World started as a blog post series, but after I had written a several thousand words as blog posts in draft, I decided to create a mini ebook with more in-depth tips about Instagram. The “blog post series” turned into an ebook with over 100 pages. Download my Instagram book for free when you subscribe to my email newsletter. No, unfortunately we didn’t have a big Skimbaco team-meet up, but I saw Wes in New York City, Reeta in Paris, Satu in Dublin and Leigh in Toronto (picture of Leigh and I) this year, and all of the moments are my favorite Skimbaco moments. I am so amazed by the entire Skimbaco team, and so thankful from the bottom of my heart to be surrounded by people with such talent and vision. I had not met Wes or Leigh before, and they are both as impressive in person as they are online, and I hadn’t seen Reeta for over 20 years, we used to go to a same school, long time ago. And Satu – I was lucky to see her twice in 2012, and it was now great to see her again, and see her children as well and meet her newborn son for the first time. I am dreaming of a big team meetup for all of us, hopefully one year we can make it happen. We had amazing family travels this year. We went to New York city, Iceland, and several trips to Italy. One of my favorite family trips was a city break to Rome, and I actually did research for my book on this trip, and only used Instagram to plan the entire trip with my own tips that I wrote in the book. Hands down this was the best family trip we did the entire year, and we lived like locals in Rome for four days. 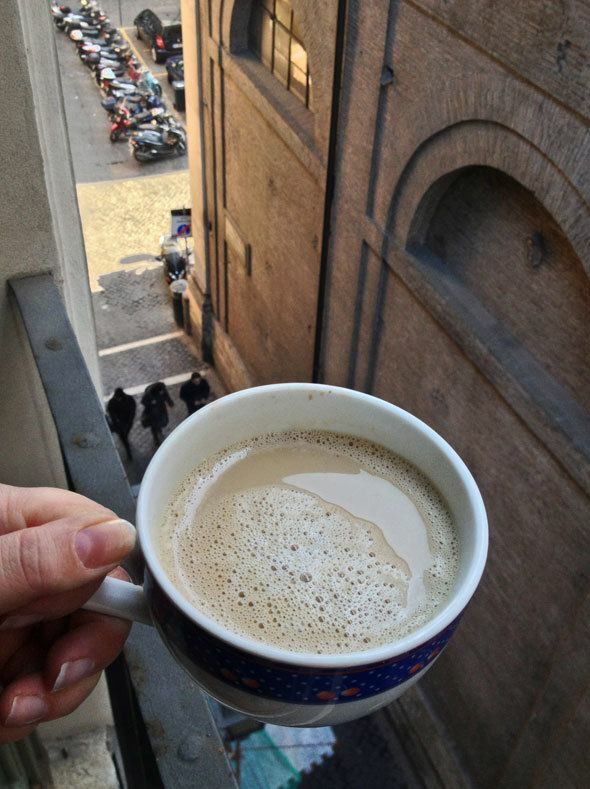 We rented an apartment and every morning made coffee in the apartment and I looked down to the street below as sipping my morning latte. We shopped for foods at Campo De Fiori, and for a few days felt like we were locals. 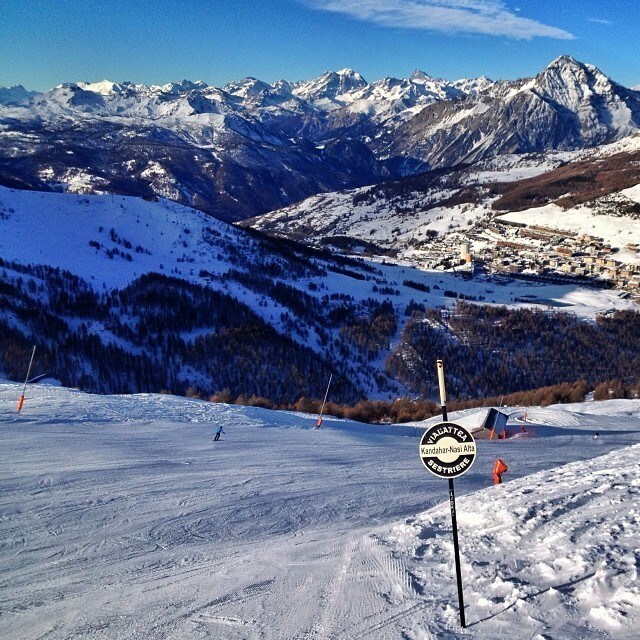 My last trip of 2013 was a skiing trip to Turin, Italy. Unfortunately I had injured my knee earlier this fall, and was worried I would not be able to ski the entire season this winter. On the first day in Sestriere, our ski instructor takes our group of Scandinavian journalists to the mountain and says “let’s ski the easy slope first and see everyone’s skill levels”. And so we did. My knee was not to be trusted, and I looked anything but elegant on my skis, and “fast” was not the word to describe the run either. But it was a helluva start of a ski season and I felt like a winner afterwards! I climbed a mountain in Abruzzo, Italy. Yes – many of my best memories of 2013 were in Italy, in fact I spent over a month of the entire year in Italy! 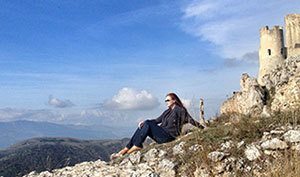 The day when I climbed the mountain to see the castle of Rocca Calascio and saw the mountain area and I just felt like I really wanted to live in Italy one day. As I admired the view two helicopters flew over the castle and the mountains and I took it as a sign: my husband is a helicopter pilot, maybe life will take us to live in Italy one, and the moment on the top of the mountain gave me hope that maybe we can make it happen. Rocca Calascio is a small town in the Province of L’Aquila City in Abruzzo, Italy, and the castle on the top of the mountain is famous from many movies, like The Ladyhawk. And take the “climbing” part relatively, I took the tour bus as far as I could and then walked the mountain road to the top. Lesson learned: you don’t always have to go the hard way to get the same rewarding feeling. I admit, this was in my top travel experiences list of 2012 as well, but Iceland still tops as one of our family’s top travel destinations, and this year we all went there. 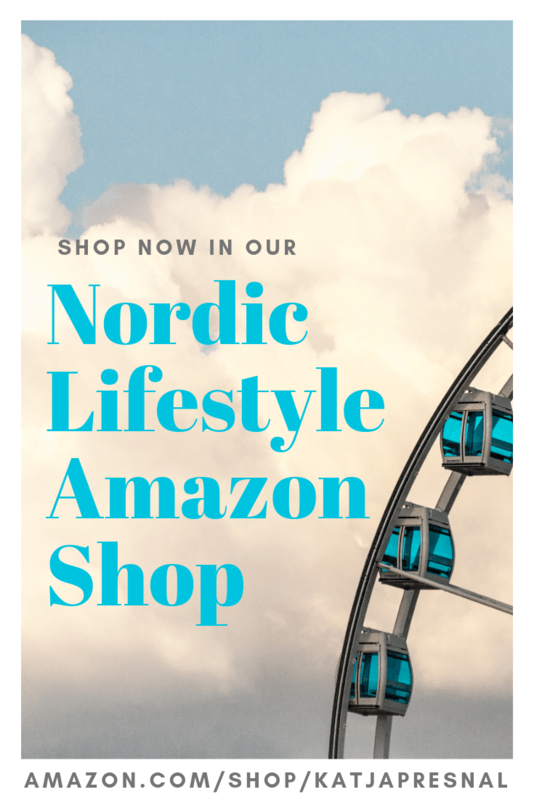 Last year I just took the three children to Iceland for a quick 24-hour stop alone, but this spring when we flew to New York City, we stopped in Iceland for a few days on the way back to Europe. Our flight from NYC landed on early morning hours and we rented a car and took a nap in the car while waiting the Blue Lagoon to open. 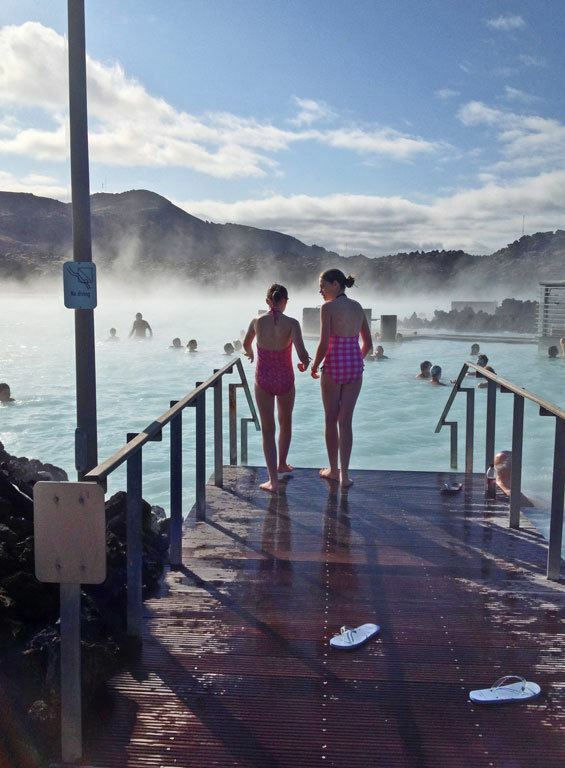 The cold air and hot water and the serenity of the unique landscape makes Blue Lagoon an easy pick for a top Skimbaco experience. Do this with a friend, with family, with a lover, with a mother, or go alone. Just experience this. What about you? Share your Skimbaco moments too! You know, with that list it would be easy to sit here and be consumed by jealousy, but I’m not. I am genuinely happy for your because you seem like a genuine person who simply loves LIFE. I also love that you support others in their quest to get out and truly live, even if it’s just in their own backyard. I can’t travel the world now for several reasons, but I can vicariously. Here’s to an amazing 2014. Sounds like a great year. I think swimming in Iceland would be amazing. Wow, Katja. Your life is such a wonderful adventure! As I sit in my home office alone most days it doesn’t seem adventure… then I look at my Instagram photos or look back what I have done in just one month, or one year and yes, I almost can’t believe it myself. Thanks for reading. What an amazing year you have had!!! I can’t wait to see what 2014 holds for you! I do feel very blessed, it’s nice to be back into my “old life”, at some point I got too consumed with social media work. Amazing and beautiful! Would have loved to have been sharing an espresso in Rome with you. Upeita kuvia ja hetkiä vuodelta. Tän haasteen aijon ehdottomasti toteuttaa; heti listaan ens viikon IGTravelThursdaylle, koska tän viikon postaus tuli jo kirjoitettua. Mahtavaa! What a great list of things you have done, Katja. Such an impressive year, and so many memories.